For me, a bad day is a bluebird day, which may sound unusual. First of all, you need to understand that there are times when the bass just aren’t going to bite well. So, the first thing I do then is downsize my lures. Next I slow down my fishing. The day before a front arrives, the bass usually will bite really well. After the front passes, then on the next day, you no longer have the wind that the front’s brought but do have clear skies and high barometric pressure. 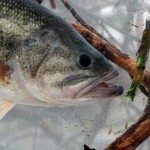 For some reason, bass don’t like high barometric pressure. 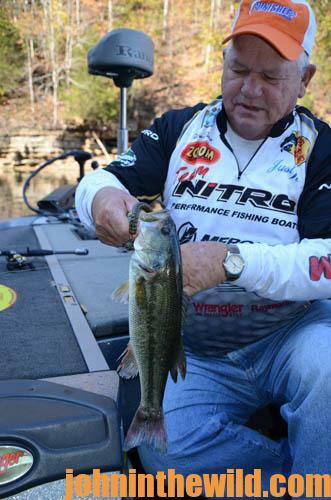 During those kinds of conditions, bass often want to bury-up in brush piles or suspend. 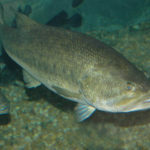 Over the last few years, tournament bass fishermen have figured out that on those high-pressure days, you can move out in the middle of the lake, and sometimes in water as deep as 90 feet, you can search for balls (large schools) of shad that may be holding in water depths of 10-20 feet over a bottom as deep as 90 feet. 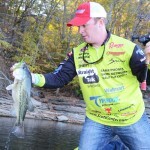 The Alabama Rig (http://www.thealabamarig.com/) is one of my favorite lures to use under these conditions, or a swimbait, a Countdown lure (http://www.rapala.com/rapala/lures/countdown-lures/) or a Spy bait (http://spybaiting.com/). 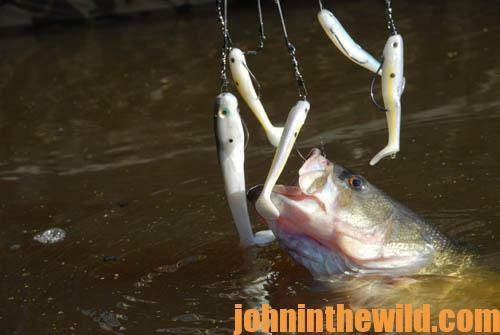 You want to use a lure that you can keep at a certain depth. When I discover a shad ball out in the middle of the lake, I’ll take one of the lures that I’ve just mentioned, cast it out past the shad ball and swim that lure either through or just under the shad ball. Those shad balls are a bass’s dinner table. Where you locate the shad ball is usually where you’ll find the bass. At a 1-day bass tournament on Lake Norman in Charlotte, North Carolina, we’d had windy weather. The bass had moved up shallow, but we were catching bass in some deep brush during practice. The first day of the tournament was a bluebird day. After the front passed, we had no wind and bright sun. I couldn’t catch any bass in the shallow water, and I couldn’t catch any bass in the deep brush. As I ran around the lake looking for a place to fish, I kept noticing large shad balls out in 18-20 feet of water that were suspended over a deep bottom. Finally, I decided I’d better fish the shad balls. On that day, I was using a Zoom Fluke (https://zoombait.com/fluke/) with a lead head sinker. When the Fluke got down to about 20 feet, I just started reeling it steady on a slow retrieve. Over the years, I’ve learned that on bluebird days, a lure that doesn’t have a lot of action will get more bites than a lure with a lot of action. I knew that twitching and jerking that Fluke like I normally would fish it wouldn’t get me nearly as many strikes as reeling the bait slowly would. By fishing those shad balls, I caught 14 pounds of bass and finished in fifth place in a field of 150 to 175 boats. Fishing those bait balls in the middle of the lake saved me and kept me in the money. Since that tournament, I’ve also learned that you can use the same technique with straight tail worms, like the Zoom Trick Worm or the Zoom Centipede. 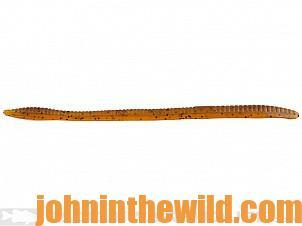 The Centipede is a 4-inch worm that looks like a French fry. When they first came out, many anglers called it a French fry. That Centipede has absolutely no action. 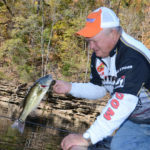 But on those bluebird days, you may catch a limit of bass, keeping that lure at the same depth or just below the school of shad and using a steady, slow retrieve. I’ve also used this technique on bluebird days at Buggs Island in Virginia, Lake St. Clair in Michigan, and Lake Champlain in Vermont. I’ve found this technique will work on any lake that has good numbers of shad and/or blueback herring in the lake. 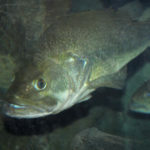 I’ve found bass in 15 feet down to 30 feet, holding right in the middles of the bait balls or just under the bait balls in many lakes I fish. There’s no way to pattern these suspended bass. You just have to ride the lakes and use your depth finder. If I’m fishing a swimbait with a lead head or the Alabama Rig, I fish them on a baitcasting reel. 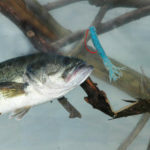 If I’m fishing a smaller lure with a smaller head like the Zoom Trick Worm or the Centipede, I fish those lures on spinning tackle. Another lure I use is the Punisher Little Sparky spinner (https://punisherlures.com/collections/spinners), because it has a small lead-headed tail spinner on it that you can swim at a certain depth.